In mid-May we received images for about 64 coins back from VSS and we are now in the process of adding them to the web site. Included in the group are two coins requiring further analysis and these will be going to LVA as soon as another submission returns. We completed the addition of these coins to the web site on June 5. We also sent to VSS in mid-May another 20 PCGS graded coins for analysis. These range in grade from XF45 to MS64, so there is some grade variety in the mix. These arrived back from VSS on the 29th, so we had our work cut out for us getting all of them up on the web site, but they are there. All but one coin VAMed and that one will be headed to LVA for analysis this month. And finally in mid-May we sent to VSS another 100 raw coins for grading and then for VAM analysis. These could take a while, but should be a good group to add to the web site and study. We know there are at least six VAM 1D "Flaky Eye" in the group, and several we believe could be discovery coins. 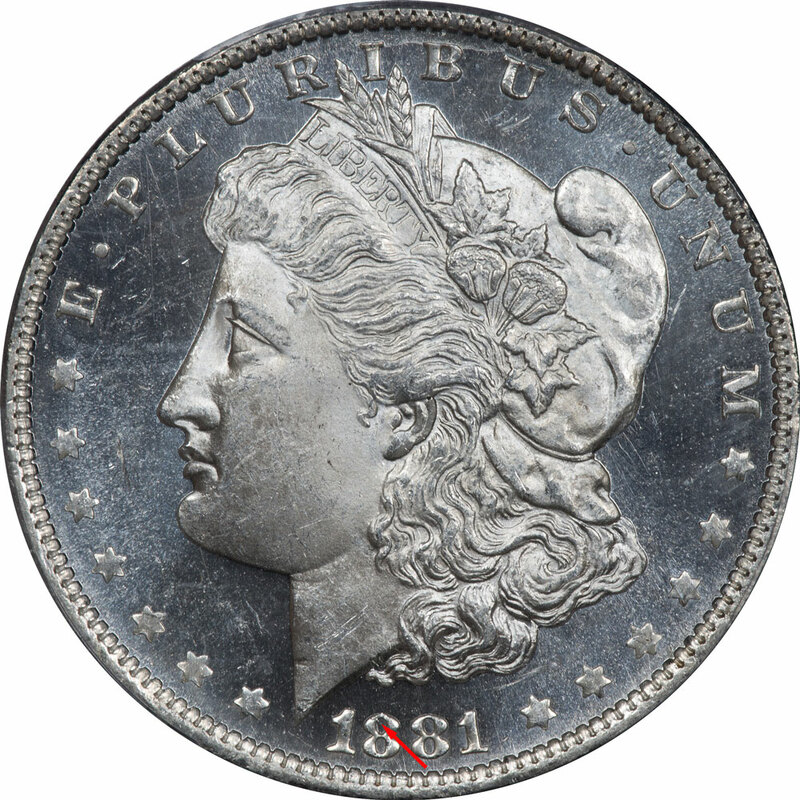 If you spend any time with the coins of 1881, regardless of Mint, then the Spike in the first 8 is something you are familiar with as a VAM feature. Opinions about this little feature can be different, so we are going to do a side trip on this in the next month. We believe the feature is a widening die crack on a master die. Others believe it is a defect in the date punch. And we are sure you can gather other opinions if you just post this on VAMworld. Discussion of this little anomaly is of value because it has relevance to features on other coins. The nature of positive versus negative features and their origin is a key VAM discussion in our minds. Toned coins are always a welcomed addition for their teaching ability and often just the beauty of the coins. In our latest batch of 64 coins back from VSS there are a number of new additions to the collection. For some reason there seems to be a flood of good material out on the market that has just come to our attention. We still rate Roger Burdette's From Mine to Mint as the number one required reading for anyone wanting to understand more than just the basics of Mint processes. But we are moving America's Money, America's Story into second place and it will probably stay there for some time. Learning about coinage is what coin collecting is all about and this book fills a lot of gaps. Until we read this book we had no idea about the linkage between paper money and coins and how the two were linked. The author, Richard Doty, traces coinage from its earliest uses in America up through the current era. Published in 2008, the book has amazing detail and leads one through significant national events, the availability of hard currency, Congressional actions, and a host of other issues that influenced our money system. A great book and very readable. It is available in electronic form as well as hardback from Amazon. In on-line forums we laugh about the OCD tendencies of those of us who collect. But what about the serious side of that issue? In One Coin is Never Enough, Michael S. Shutty, Jr. Ph.D tackles that issue full force. 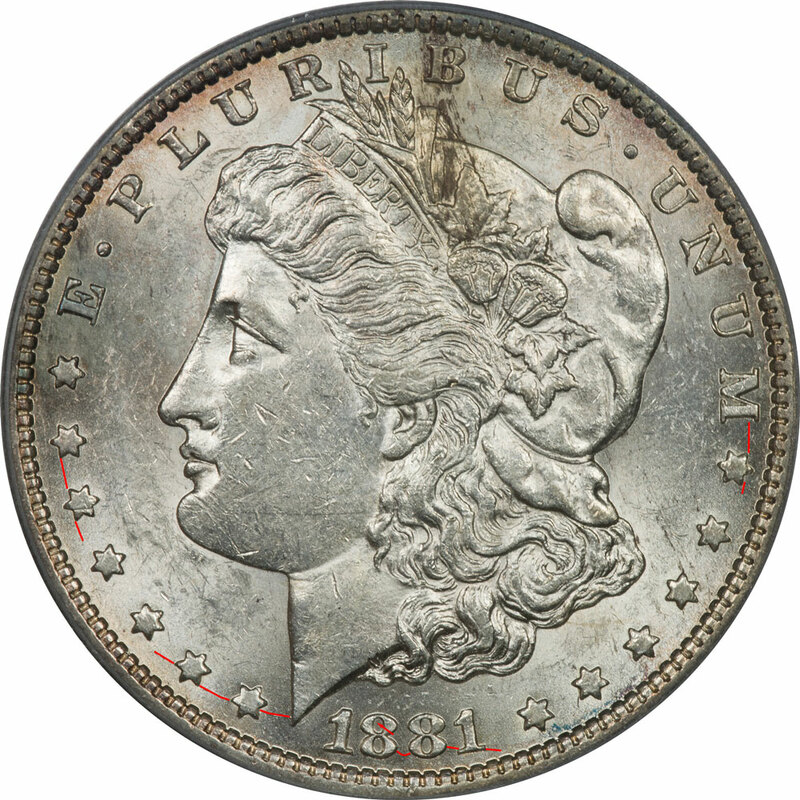 A self professed coin collector, Dr. Shutty delves into why we collect. It is difficult to classify this book because it is part personal collecting journey and part analysis. We found ourselves wanting the author to set aside his personal story of collecting and give us the science. We wish we could recommend this book to others, but we found it to be difficult to read. Sometimes you just get lucky with an Internet search and come up with a resource so valuable that it needs to be shared. Such was the case when we stumbled into the Newman Numismatic Portal at Washington University in Saint Louis, Missouri. "The Newman Numismatic Portal is located at Washington University in St. Louis and funded by the Eric P. Newman Numismatic Education Society. The NNP is dedicated to becoming the primary and most comprehensive resource for numismatic research and reference material, initially concentrating on U. S. Coinage and Currency." By any measure this is one of the best new resources we have found and has a real chance to make some significant contributions to the world of numismatics. The web site is filled with books(10,000+), auction catalogs(10,000+), auction lot records(300,000), biographies(3,000), and periodicals. If you are looking for a publication in the field of numismatics and you cannot seem to locate it elsewhere, then start here. Click here or on the logo above to go to the web site. Last month we started an analysis of die cracks that we are likening to the uniqueness of fingerprints. We started with Obverse Die 34 because it is confined to VAM 53, our most common, and because it is relatively easy to understand. But there are many more dies to analyze, so this month we will pick up the pace a little and do nine dies. This month we are adding dies 2, 5, 6, 8, 9, 11, 12, 16, and 19 to the list and we hope you enjoy the analysis. We have also added pages for the obverse and reverse dies to our Studies section of the web site and we will fill in these pages as we finish with each die. The analysis of each die has been added to the die page as completed so that information will always be accessible. And from the single obverse die page we have linked to the individual die pages. Until the total analysis is complete we will have a separate section of our monthly newsletter at the bottom of the page dedicated to just this issue. Obverse Die 2 is another that is associated with a single VAM, VAM 3. Like so many 1881-O coins the key to the identification is date doubling in unique ways. This is a readily available VAM, so we have multiple coins to study. As of this writing there are 6 Mint State coins in the collection and they do exhibit at least two states. The earliest state, as you might imagine, is one where there are no die cracks. But even in this state the coin shows a little fatigue at the top of the die. But this coin we have illustrated here is one that is a favorite because of a different issue. This one, an MS63, shows what is believed to be die ejection marks in the denticles. This is often mistaken for denticle doubling, but so far classified as ejection markings. 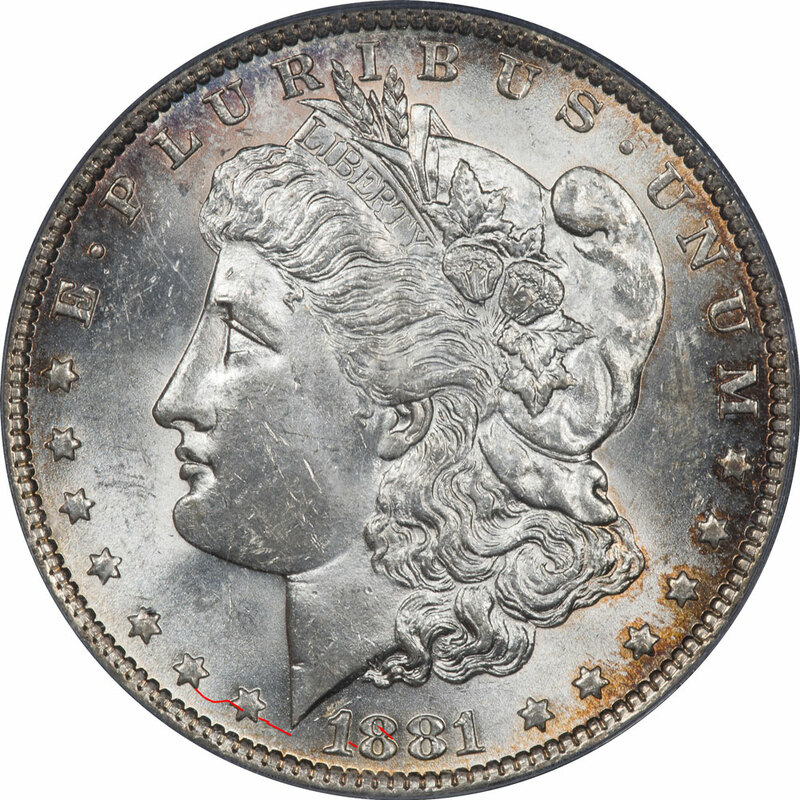 There are times that toning obscures coin features, and times when they accentuate them. This is one time where toning helps us see a feature. On this Mint State 64 coin the die crack shows up more clearly because it does not tone as easily. In this example the die crack extends down from the E through the closest 2 stars and stops just short of the third. The crack does not go through the stars. Obverse Die 5 is linked to only VAM 10. Our Mint State inventory shows no signs of die cracks or fatigue. We have three Mint State examples as of this writing and they are all free of obverse cracks and breaks. Obverse Die 6 is paired with reverse die a to produce VAM 14. 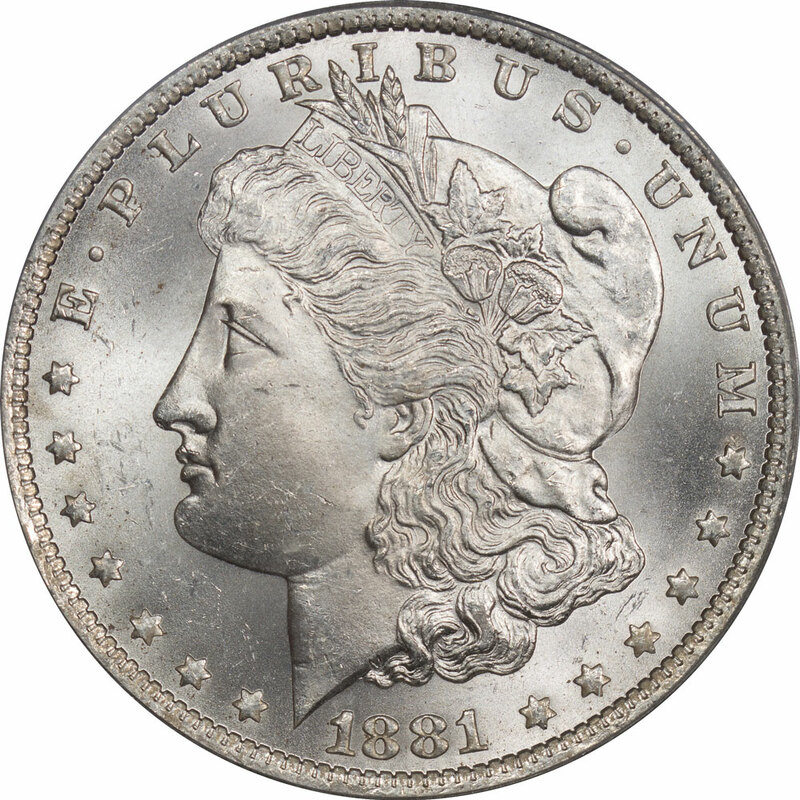 On the reverse, one of the distinctive downward sloping die gouges appears so the obverse characteristics are often overlooked. Our inventory only includes one Mint State coin, a Mint State 62, but also two Almost Uncirculated examples we can take a glance at in this process. None of the three coins exhibit any signs of die cracks or breaks. Our analysis of Obverse Die 8 is limited to a single coin, so obviously one we will revisit when we have more examples. This die appears only on VAM 16 which has a heavily overpolished reverse. The reverse features are so dominant that they get most of the attention. To make this a little more difficult, the one example we have is a high quality MS64DMPL coin where potential perimeter die cracks would have been polished out or the die state is early. To complicate this even more we know the die was polished at least once. We can determine this by looking at some other features. First, the hair curls at the base of the neck have been slightly softened so that they lost a little detail. Second, there are some reasonably obvious die polishing lines at various locations around Liberty's head. And last, if the two dies were used and reused in concert then the heavy overpolishing of the reverse die probably occurred at the same time. But the one feature this coin does have is the familiar "Spike in 8." We have initiated a conversation on VAMworld about this one since we would contend that this is a form of die break. Obverse Die 9 is paired with reverse die a to made VAM 17, the Dash Under 8 and the only obverse die with this reference mark. As of this writing we have 19 examples, and 18 of those are mint state giving us a lot of material to work with. 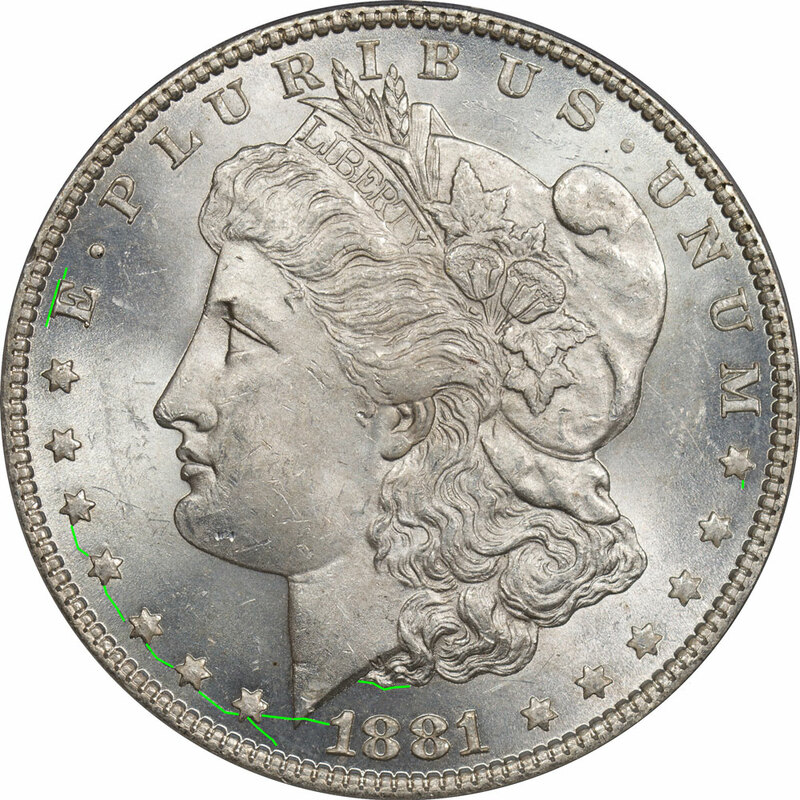 All of the mint state coins are free of cracks toward the rim and only exhibit the "Spike in 8" die crack inside the upper loop of the first 8. But most if not all of the coins show some signs of die fatigue toward the rim. In the earliest stages it is found only at about 12 o'clock, and then on other coins it begins to show elsewhere in the fields near the rim. Taken as a group this might be the cleanest group of any VAM. 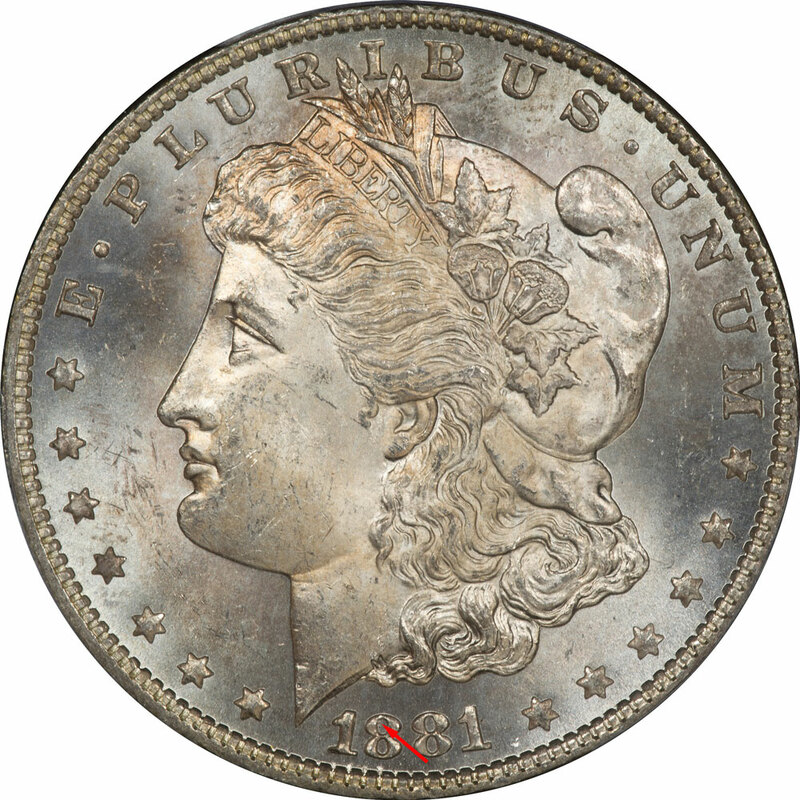 Obverse Die 11 is a component of VAM 19 and is known primarily for doubling in the date and Liberty's profile. While not the most common we do have five examples, all mint state coins. Other than the familiar die crack, spike, in the upper loop of the first 8 there are no die cracks in any of the coins. Obverse Die 12 is only associated with VAM 20. We have several examples, but the most advanced with die cracks is an MS 62. The cracks run from about 6 o'clock up to 9 o'clock and actually cut through the lower point in the bust.. This coin also has the familiar Spike in 8. And then as a final marker there is a die crack just developing in the lower hair vee. Obverse Die 16 is only associated with VAM 27, the only Hot 50 VAM in the series. We do not have any coins above grade AU 58, so we have taken our best example of that grade to examine. We are always looking for ways to identify key VAMs over the Internet and this set of die cracks offers some new hope. There is a tiny Spike in the first 8 that is so small that it takes magnification to see it. Obverse die 19 is only associated with VAM 30. VAM 30 has a number of obverse and reverse characteristics. But the obverse die has unique cracks, plus our characteristic Spike in 8. There is a die crack that starts just below the second left star and actually runs into the first star. There are some examples where it might go all the way through the star, but it is difficult to tell. Then the crack continues below the bust, and picks up again between the 1 and 8.